This month I am launching my YouTube channel. It is something I have been wanted to do for a long time and am most pleased that I have finally got around to it. 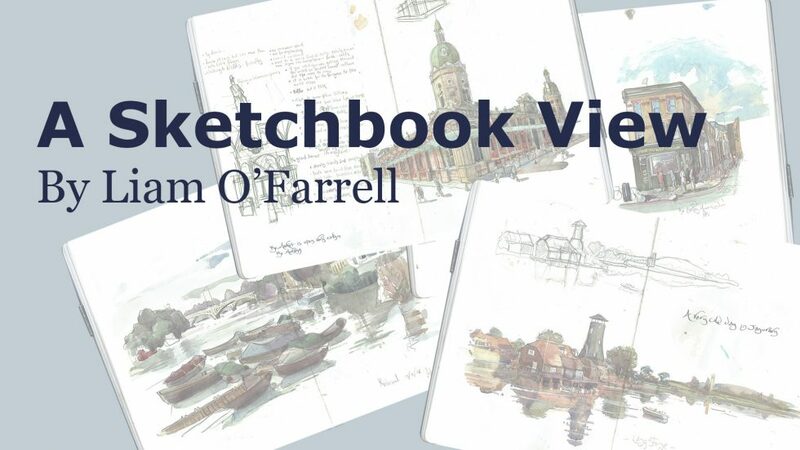 To launch my channel, I decided to do a portfolio of my sketchbook drawings and paintings. People often ask me to show them my molskine sketchbooks. They seem to enjoy seeing the bones of how I work, including all the mini sketches that are scattered about all over the place. I keep a sketchbook with me almost all the time. I don’t see them as precious things and you will even find the odd shopping list here and there. All that said, they are the cornerstones to almost everything I do, with that in mind, I have put a quick video together showing a number of my pages. I hope you enjoy it. I am so lucky to have four paintings by Liam, can’t wait to buy more!! The patronage if most appreciated! Beautiful snapshot into your mind’s eye. Nicely done. The video looks very polished, how do you find time to do this and your art too?